Ruby Jay Talks Holly Hobbie, Celebrating Positivity, and More! | YAYOMG! You likely know Ruby Jay from her incredible covers of Bruno Mars, Little Mix, and everything in between. She also just released her debut single, a super fun, dance-worthy bop called Cherry Pop! That’s why it comes as no surprise that Ruby has been cast in a new role where she gets to sing her heart out. Hulu’s newest original series is out today, a modern revival of the classic Holly Hobbie character from the 1960’s. In Holly Hobbie, Ruby plays the lead of Holly, a small town girl with a big heart and even bigger dreams. Holly may live in a small town, but she is passionate about changing the world! She has a love of music, which she’ll explore as the story of friendship, family, and following your heart unfolds. 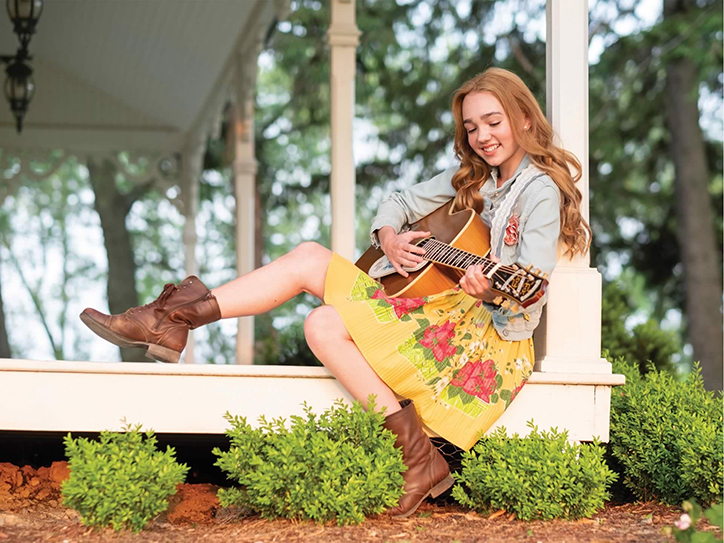 We were so excited to be able to chat with Ruby Jay about playing the iconic Holly Hobbie, her debut single, and how she embraces girl power. Your new series, Holly Hobbie, hits Hulu today! Tell us a little about what fans can expect from the series. 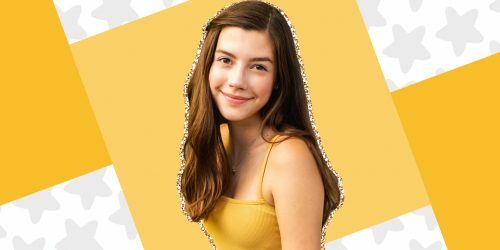 RUBY JAY: The show is all about a young thirteen-year-old girl trying to make a difference in the world but is just fine keeping it low key in her little town. Through the season she runs into some bumps along the way and has to find a way to overcome them. What are three words you’d use to describe Holly? Do you share any similarities with your character? RUBY: Fierce, smart, loving. Holly and I have a ton in common! We both love music, both are extremely close to our families and friends, and we both make mistakes sometimes! Hahahaha! What is your best memory from working on the show? 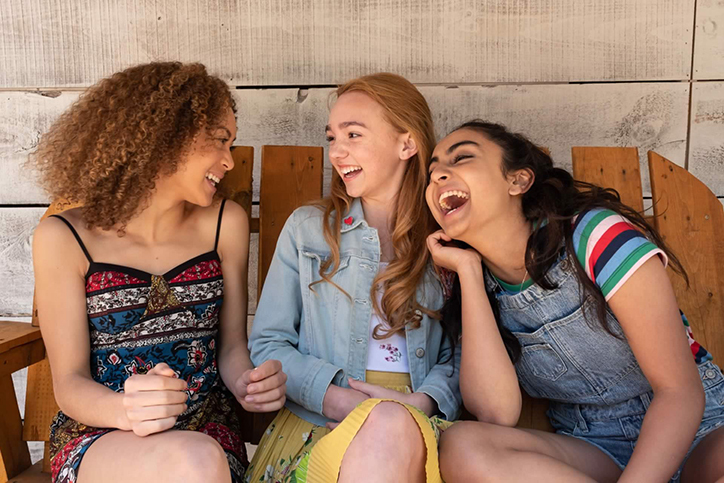 RUBY: I am pretty sure that my favorite moment on set is when Kamaia Fairburn, Saara Chaudry, and I all came up with a plan to scare Hunter Dillon. We set it up so that he would be sent upstairs by the AD saying that he needed to change for the next scene, and the three of us were all hiding in his room in the wardrobe closet. When he came upstairs to grab his clothes he opened the closet and all three of us jumped out the closet and scared him. You should have seen the look on his face! He was terrified! You recently released your debut single, Cherry Pop! Tell us a little about the inspiration behind the song. RUBY: Well, when I met up with the producer and songwriter, I didn’t exactly have an idea of what I wanted to write about. We started to come up with ideas and I liked the idea of having my first song be less about the meaning, but more about the groove or dance aspect of it. So really the idea was just to make people want to dance! 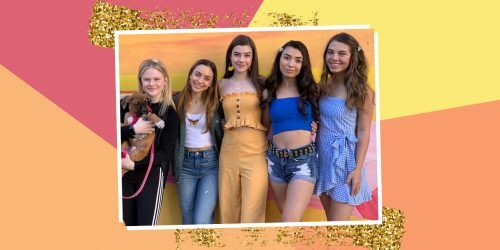 RUBY: Anyone in musical theatre, Ariana Grande, Shawn Mendes, Jessie J, and Christina Aguilera. You’re known for your amazing covers, do you have a favorite that you’ve done? RUBY: I would say that one of my favorite covers is when I did a 30 second cover of Thrift Shop by Macklemore, simply because that is really what got me started in the social media world. You have quite an impressive following on social media. How do you use your influence in a positive way? RUBY: I like to use my social media to encourage everyone to embrace and spread positivity. I always like to engage with my followers by asking them questions and seeing all of their positive responses. Tell us about a challenge you’ve overcome that has changed you for the better. RUBY: I have had to overcome many challenges over the course of my career, but I would say the hardest was when I was kind of in a dead space with work, not working and getting a lot of “NO” responses and I felt like I wasn’t good at anything so I wanted to just quit and not do this anymore. But with all the support from friends and family I just had to keep telling myself that work will come, and I have to fight for what I want, and so I did and now I am here! How do you embrace your girl power? RUBY: I embrace my girl power by supporting all of my amazing friends with any of their amazing accomplishments. Strong girls love and fight for each other! What advice can you share with other girls out there with big dreams like yours? RUBY: There are two rules for this industry. 1. Keep going, fight hard for what you want, and never give up no matter how hard it gets. 2. Make sure that through every step of the way, you are in love with what you’re doing 100% and that you are always passionate about your craft. 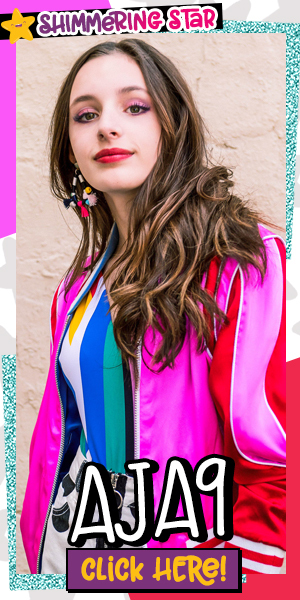 Now that you’re all caught up with Ruby Jay, we think you’ll love getting to know teen author and anti-bullying advocate Carrie Berk!